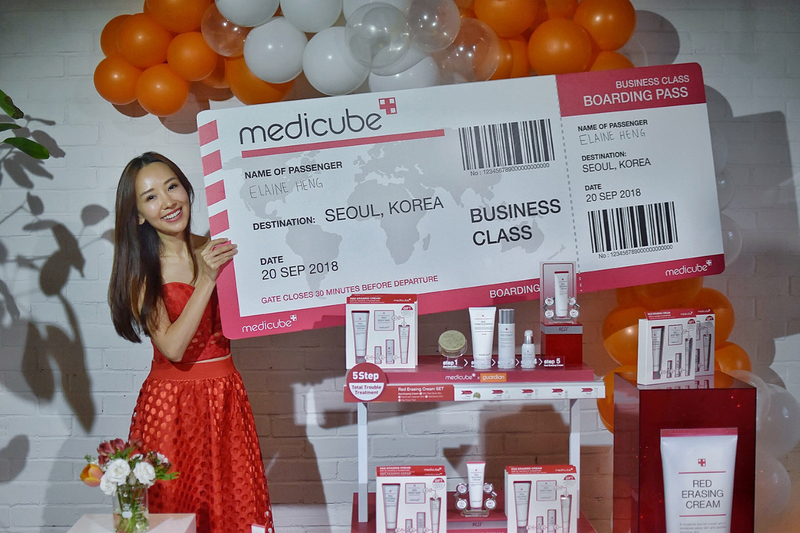 Lady Luck must be shining on me when I won the best dressed influencer contest at Medicube Red Erasing Cream Set Media Preview on 20 Jul 2018. Couldn’t believe my ears when i heard that I won a business class ticket to Seoul, 2 nights’ hotel accommodation and a free beauty treatment session at Medicube Clinic with transport to/from the hotel. It was very exciting for me as Seoul has always been one of my favourite destinations to go. Even though I had been there countless of times, every trip brought a different experience. 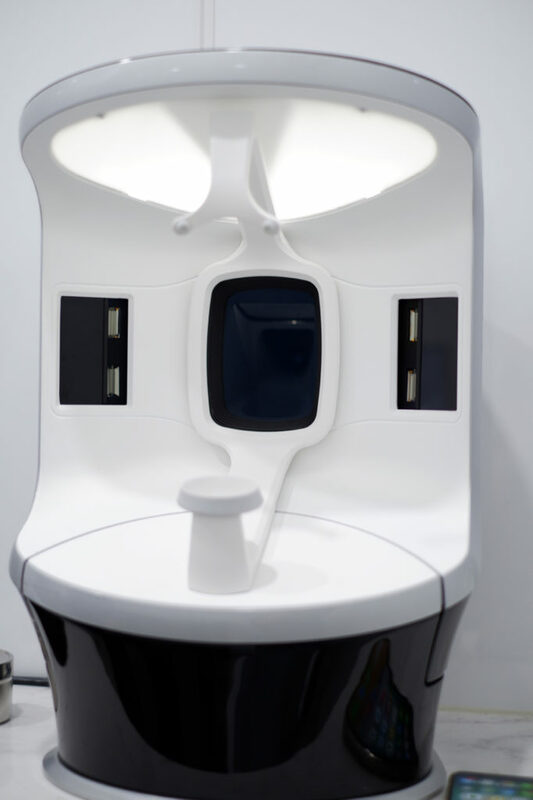 This time round, I was so looking forward to this trip as I would be the first influencer from Singapore to visit Medicube Clinic and receive a beauty treatment there… yes! 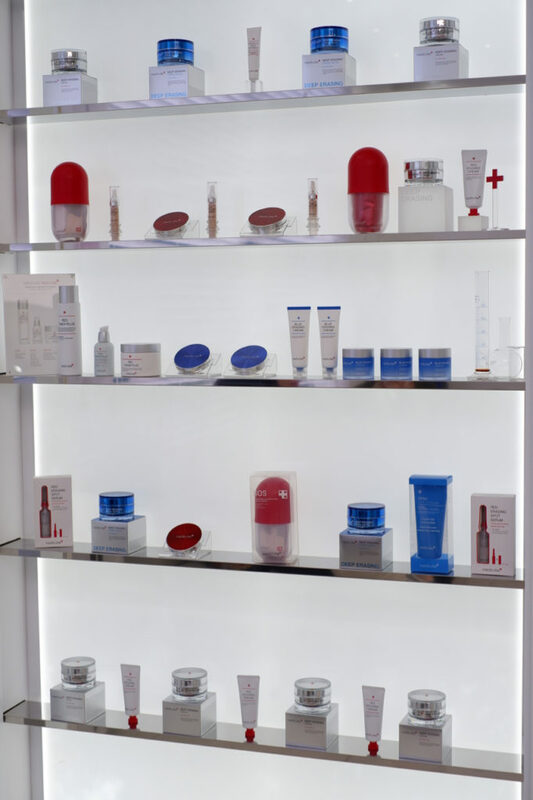 Frankly speaking, I knew Medicube as a Korean skincare brand and I did not know that the brand actually has two aesthetic clinics in Seoul. 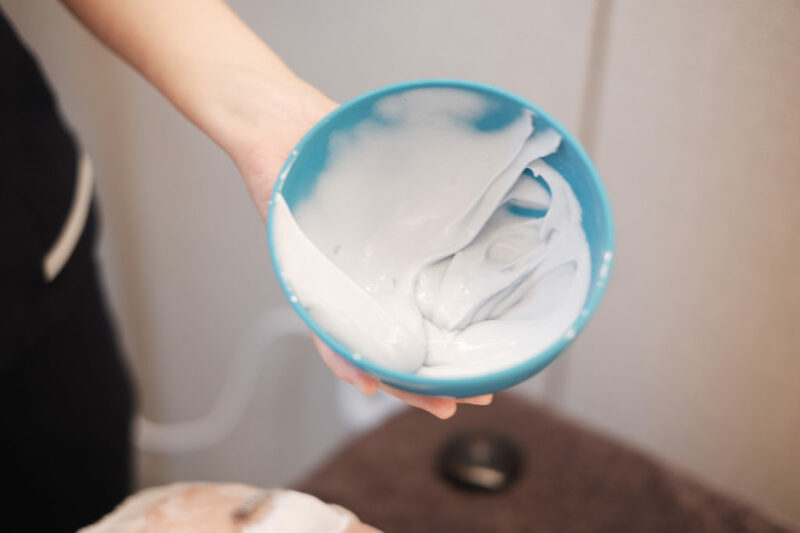 To me, this is an assurance that Medicube products are of good and high quality and the company itself is dedicated to improve people’s skin conditions. The Medicube Clinic which I visited was located in 경기도 성남시 분당구 황새울로 326 (서현동) 분당서현빌딩 별관 4층 Gyeonggi-do Seongnam-si Bundang-do Hwangsewool Rd 326 Seohyun-dong, Bundang Seohyun Building, Annexe 4th floor. 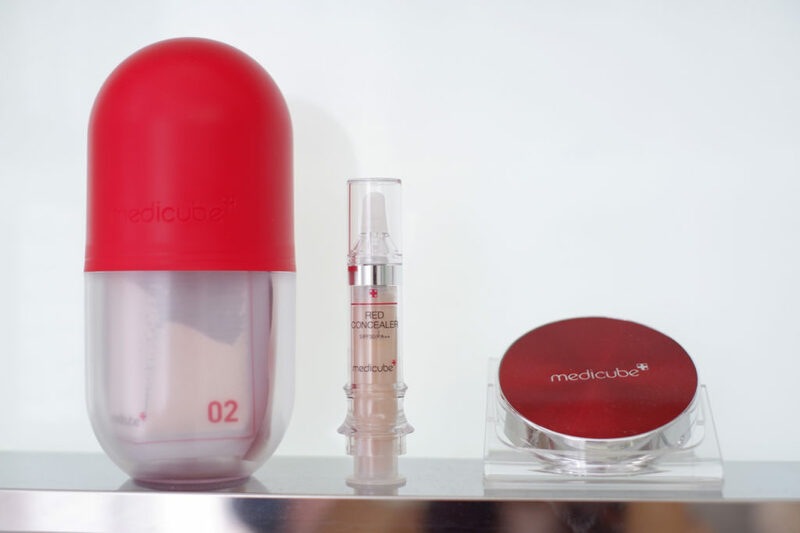 Inside the Medicube Clinic, you could see various Medicube skincare products targeted at different skin conditions. At the same time, I saw a standee of Yoo Jae Suk, one of the cast of Running Man, a popular Korean reality show. 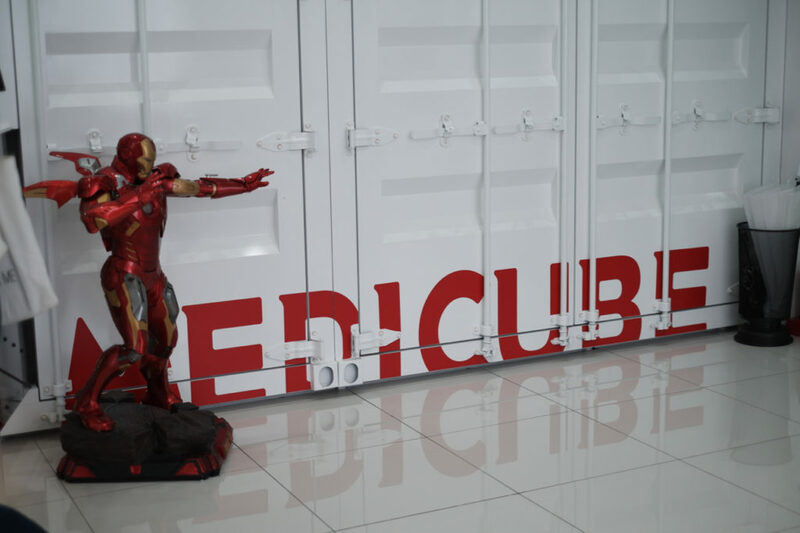 He was chosen as the ambassador of Medicube Clinic. 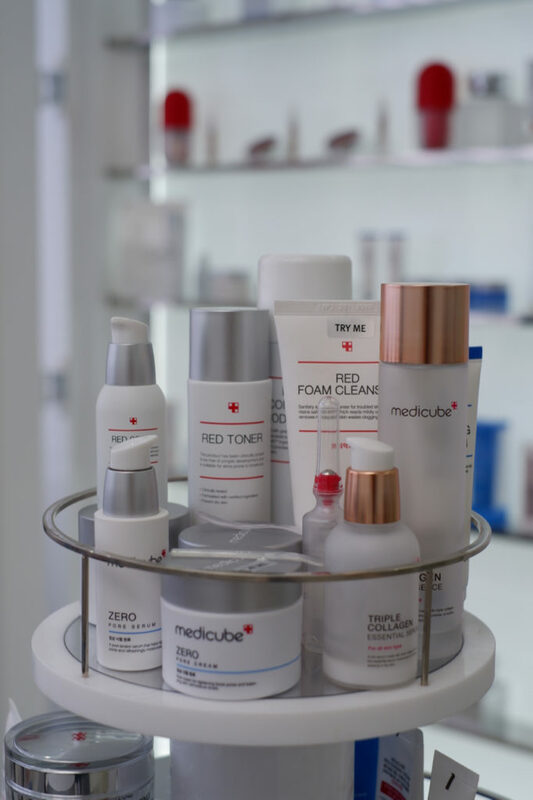 Sample Medicube skincare products are available in the clinic for you to test so that you can try the products on your face or hands first before buying them. 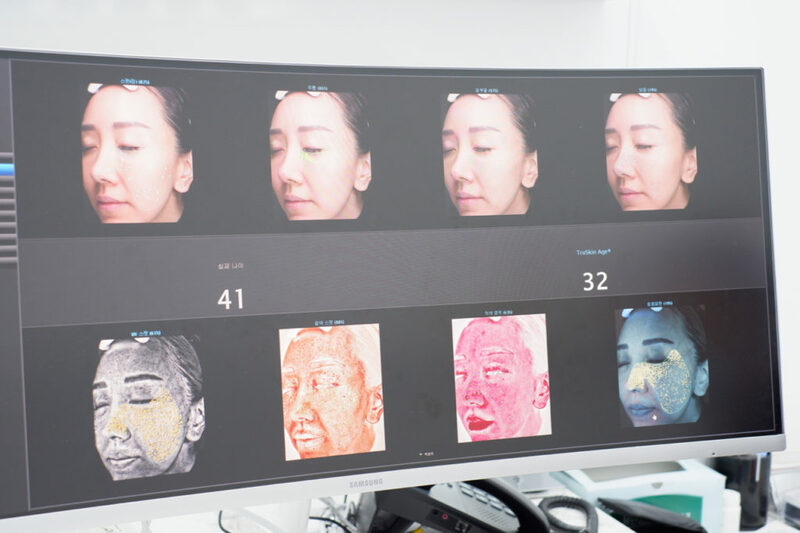 After I washed my face, a skin consultant did an analysis of my skin using this machine which would tell you the age of your skin vs your actual age and the skin conditions like appearance of pigmentation, wrinkles, open pores and etc. I breathed a sigh of relief after I saw that my skin age is younger than my actual age but I still wanted to look younger than 32. 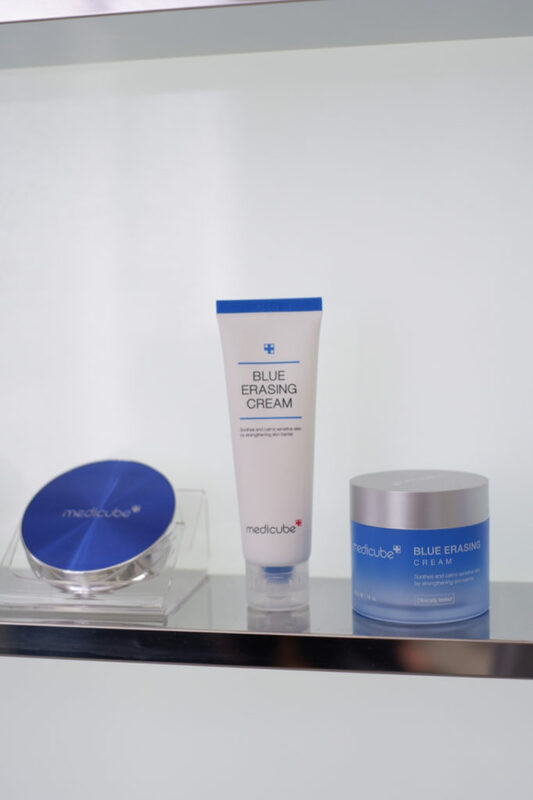 After the initial skin analysis, I met up with Dr. Jae-Young Jeong, the dermatologist at Medicube Clinic. He pointed out to me where my open pores were and areas of pigmentation and potential pigmentation areas. I wanted to faint after seeing the potential areas. 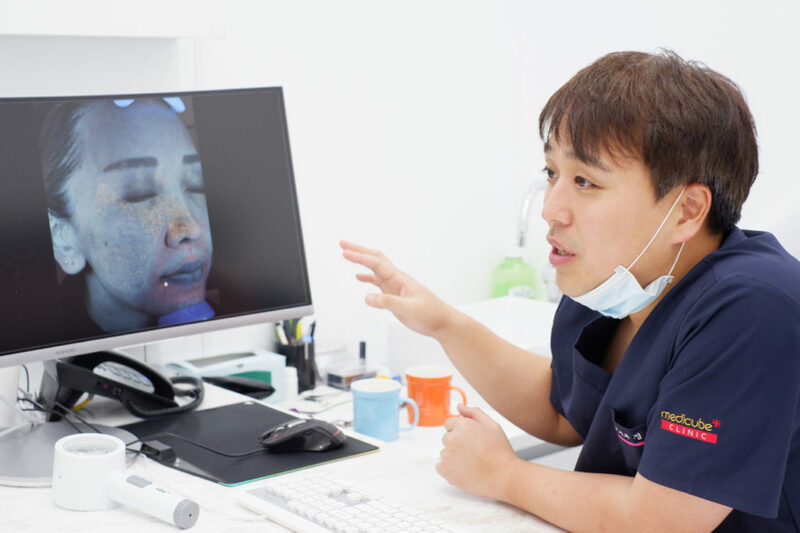 I shared with Dr. Jeong my concerns on aging as well and after a through discussion, he recommended me to go for the Filorga Injection. 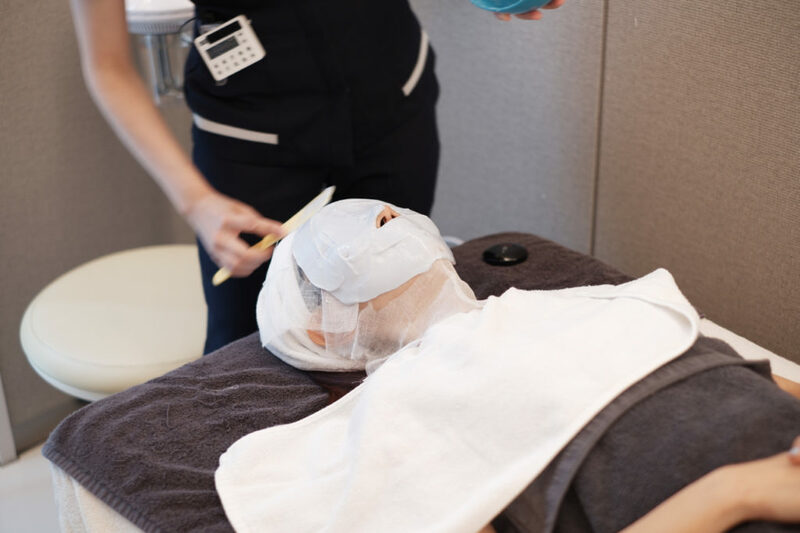 This treatment helps cultivates ideal environment to strengthen fibroblast (strong fibroblast prevents ageing) to firm, plump wrinkles, fade scars and hydrate form within. 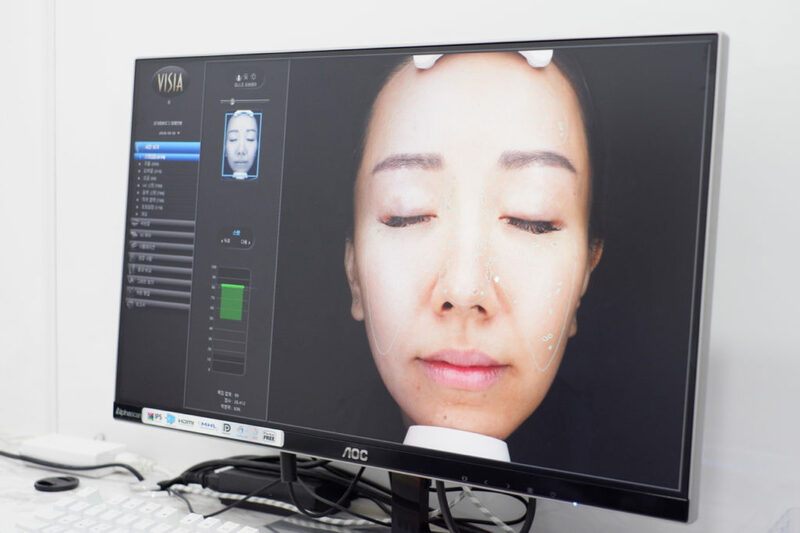 My face was cleansed throughly again as it would be injected with France Skin Boost is a skin revitalizer manufactured by FILORGA LABORATORIES, one of the best-selling anti-aging skin regeneration products in the world, and the most prestigious anti-aging research institute in the world. 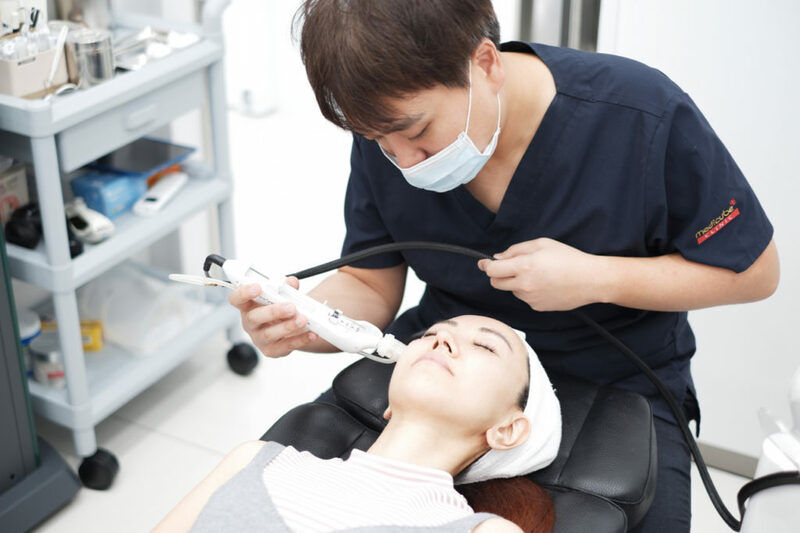 Before the treatment, Dr. Jeong injected some anestheia so that the treatment won’t be too painful. 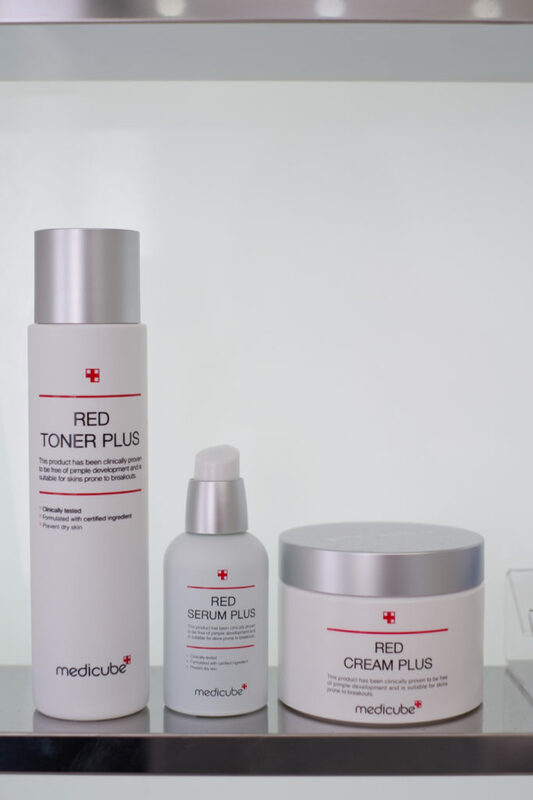 The French Skin Boost (NCTF BOOST 135HA), made with the best combination of 53 composite components and hyaluronic acid, provides the optimal environment to revitalize the function of the fibroblast, which plays a decisive role in the aging of the skin, resulting in improved pigmentation, wrinkles and recover vitality. 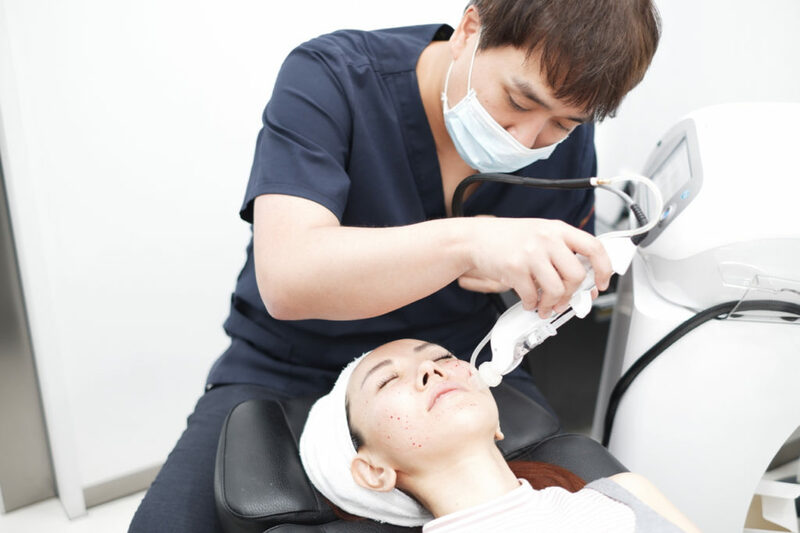 It was injected into the skin using a special probe with small needles. Do expect a bit of blood but not to worry, it is just like pricking your skin with small needles and the small bit of blood will stop flowing really fast. 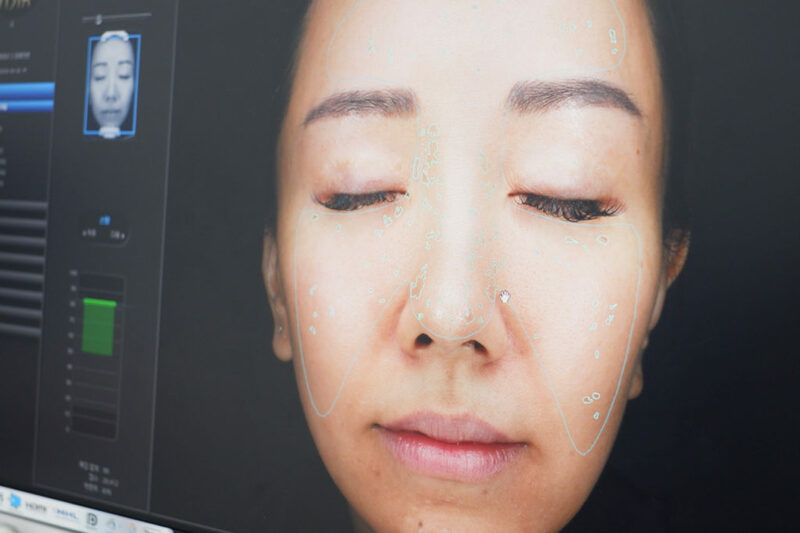 After the treatment, you might get some bumps on the face and this is very normal so please do not get alarmed. 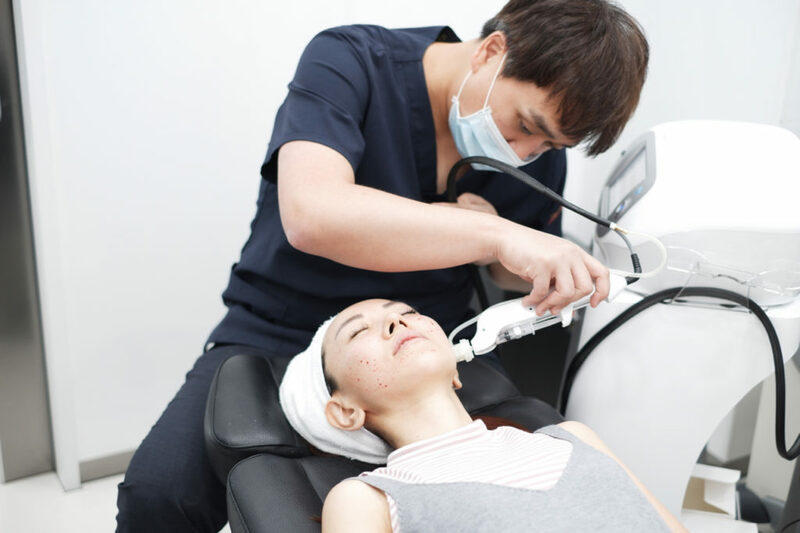 After Filorga Injection treatment, it was time to cool down the skin using another machine. 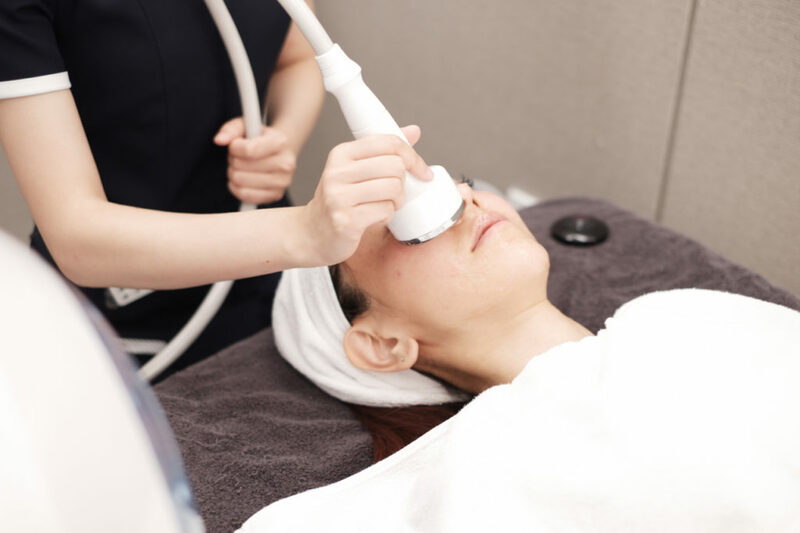 I could feel the cool probe on my face and it felt so relaxing! After this step, a special Medicube mask was applied on my face to further cool it down. 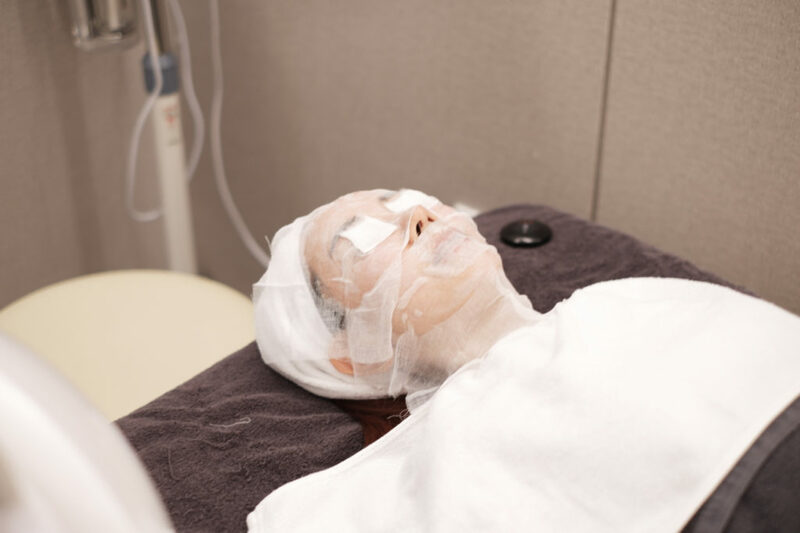 I looked like I was ‘mummified’ but actually the mask felt cooling on my face and calmed it down. 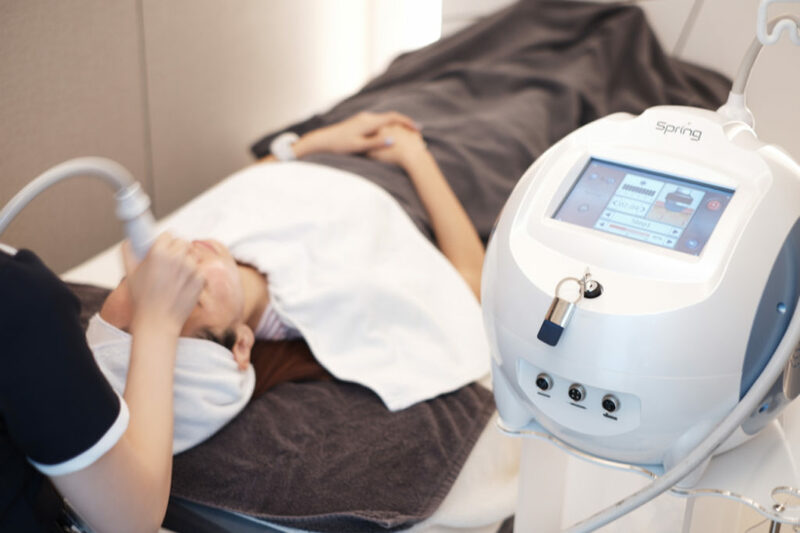 Based on a 2014 Instrumental Clinical Study conducted at the GREDECO Clinical Research Center for Dermatology in Paris, France, 95% of those who went for Filorga Injection experienced a remarkable change in their skin, be it skin brightening, reducing pore size, wrinkle reduction and improvement in skin tone. 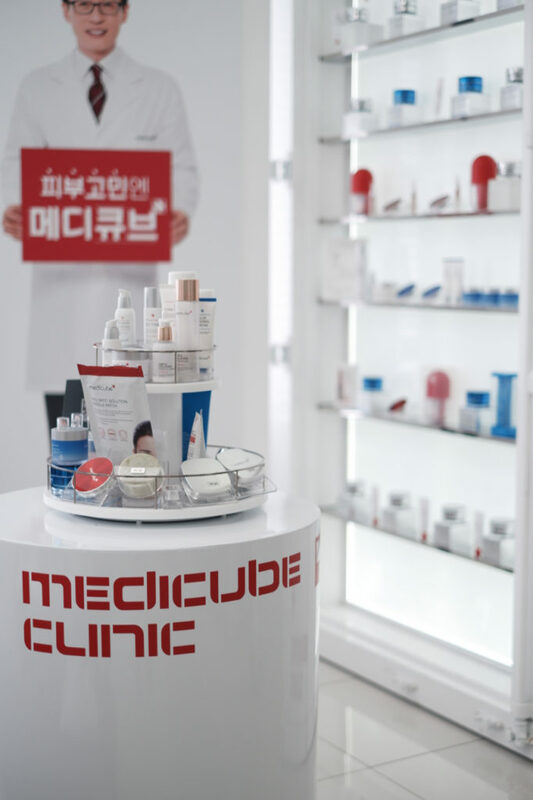 If you are planning a trip to Seoul, be sure to check out Medicube Clinic and try out the beauty treatments offered there!